All other garland-like decorations can cause serious internal injuries to your pet, if ingested. It can lead to choking or strangulation as well as it can be deadly to your pooch, and these are the things that curious dog can’t resist. In this winter festive season, there can be one more thing that can bother and spoil your and furry companions seasonal joy and they are Fleas and Ticks. Yes, I know your thinking that winter is a cold weather and it causes the parasites to lay dormant. You are absolutely right, but most of us keep ourselves and our pets in an artificial environment, where the use of central heating allows the fleas to breed all year around. This happens because the owners, do not realize that fleas and ticks are active all the year that is in summer as well as winter months. Online shopping of branded pet care products at BudgetPetWorld is convenient and affordable. You can find your desired pet care treatments easily and at very reasonable price over here. 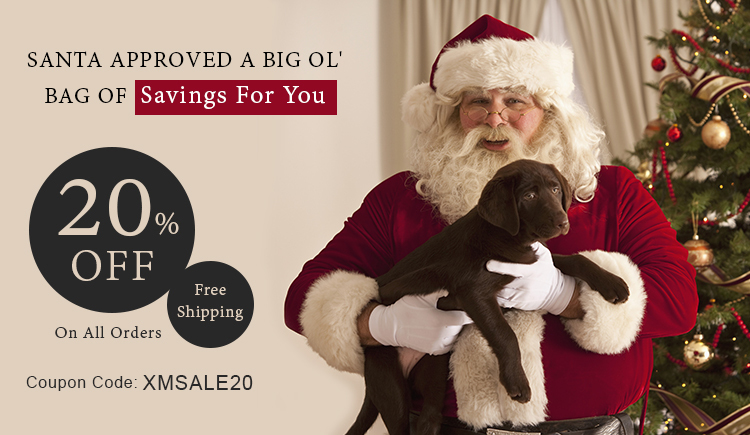 Just grab this offer using this Coupon Code : XMSALE20 and purchase any pet product with huge discounts.